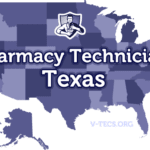 Texas is one of a few states that require pharmacy technician candidates to obtain certification before registering with the state Board of Pharmacy. Employers must provide initial on-the-job training to new trainees and technicians before assigning duties on the job. While the Board does not require formal training at community colleges and other training providers, students can benefit from the didactic and hands-on education available at these institutes. 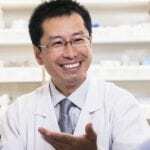 Graduates learn how to work under a licensed pharmacist, helping with patient consultations, dispensing medications, managing inventory, maintaining patient records, repackaging medications, and calculating dosages. Only board-registered pharmacy technicians and pharmacy technician trainees can provide pharmacy-related services at licensed facilities. The candidate can only begin work after notification of active status from the Texas Board of Pharmacy (TBSP). Every pharmacy employer must provide initial on-the-job training for technicians and trainees to all new employees. The training must cover very specific areas as outlined by the Board. The in-house, on-the-job training is the only training mandated by the Board. For this reason, Texas pharmacy technicians can opt out of formal training required by some other states. While the Board does not require formal training, it acknowledges the presence of training programs across the state and recommends prospective pharmacy technicians attend training program accredited by the American Society of Health-System Pharmacists (ASHP). Training programs prepare students for national certification, including the PTCB exam, which the TSBP recognizes. PTCB certified pharmacy technicians increase their job opportunities and can skip Board-required continuing pharmacy education (CPE) requirements as long as they maintain their registration. Applicants must be at least 18 years old to register as a pharmacy technician in Texas. To register as a pharmacy technician in Texas, you must present your PTCB license number. If you don’t currently hold PTCB certification, you must apply for registration as a pharmacy technician trainee – valid for two years only. While formal training is not required to challenge the PTCB exam, you must possess a high school diploma or GED equivalent to take the PTCE exam for the CPhT designation. All applicants for registration must be fingerprinted for a criminal background check. If you answer ‘yes’ to criminal questions related to moral turpitude, the Board will deny your license or grant one with disciplinary actions in accordance with the Texas Pharmacy Act. All other felonies or misdemeanors will be reviewed and a decision made on a case by case basis. Hits on your criminal record could delay your registration by several months. Through a combination of lecture, hands-on lab, and clinical training, pharmacy technician classes prepare graduates for careers in community and hospital pharmacies. The TSBP recommends ASHP accredited programs, which ensure students receive adequate training for their complex roles providing support to licensed pharmacists. The accredited programs at colleges and vocational schools provide a combination of lecture, on-campus laboratory and clinical training that prepares graduates for a variety of employment opportunities in community and hospital pharmacies. The course content covers inventory packaging, sterile and non-sterile compounding, pharmacy calculations, medical abbreviations, dispensing medication and patient profiling. Tuition at accredited training providers cost upwards of $15,200 for 900-hour long programs. Apart from tuition, students face additional expenses, such as textbooks, course materials, uniform, medical equipment, exam fee, registration, and traveling to and from the clinical rotation. The duration of the training program ranges from 6 weeks to 45 weeks. All pharmacy technicians in Texas must be certified. Non-certified technicians carry the title of “technician in training.” To upgrade the status to pharmacy technician, the candidate must successfully obtain certification from the PTCB within one year and apply to upgrade the registration with the Board of Pharmacy. To take the test, without delays, you can apply at an on-demand testing center where you can choose your preferred date. The PTCB exam consists of 90 multiple-choice questions covering nine knowledge domains. You must earn at least 650 points to pass the exam and meet all the other requirements (high school diploma, criminal-free background) to obtain certification. The fee for the PTCB exam is $129. Visit the TSBP website to submit your application through the online portal. Apply for your new license: Initial Technician or Initial Technician Trainee. Input an address where you can receive mail from the US Postal Service. Pay the application fee using your credit card. The fee is $41 for technician trainees and $61 for registered technicians. Upon submission of the online application, the Board will send three separate emails: a copy of the application, a receipt of your payment, and a fingerprint form. You must complete the fingerprint form and get fingerprinted to expedite processing of the application. The Board will process the application within 3 weeks of completing the fingerprint session. Once approved, you must renew your registration every 2 years to continue providing services as a pharmacy technician. The online renewal is available up to 60 days prior to your license expiration. Failure to renew your application before the last day of the expiration month will change your registration into delinquent status, which incurs a delinquent penalty on top of the renewal registration. Go to the Board of Pharmacy’s online portal to submit your renewal. It must be within 60 days of expiration, or the submission will return an error. Add your license to the account. You’ll need to provide your SSN, date of birth and address based on the Board’s records. Click on the renewal tab and submit, along with the $80 renewal fee, payable via credit card. The Board will request information about your employment relationships, including the pharmacy’s license number. Provide information on your continuing pharmacy education hours – must be at least 20 hours for the 2-year period. Pharmacy technicians certified by the PTCB can skip the CPE requirements. The Board will process the renewal request within 3 to 4 business days. Pharmacy technicians must update the Board of changes in name and address within 10 days of receipt of legal documents confirming the change. There’s a $20 fee for updating the records and a new registration card/pocket card. Registration for pharmacy technician trainees is valid for two years only and cannot be renewed. 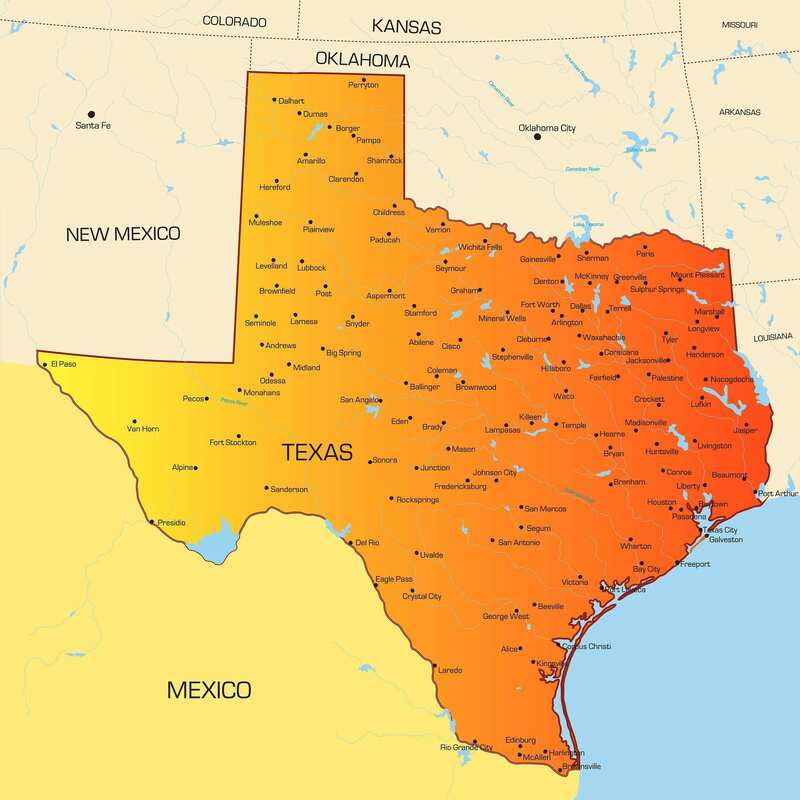 Pharmacy technicians licensed in another state cannot transfer their licenses to Texas. An out-of-state technician must apply for certification from the Pharmacy Technician Certification Board (PTCB). Once the individual passes the PTCE exam and meet all other requirements for certification, he/she can then register with the Texas Board of Pharmacy.